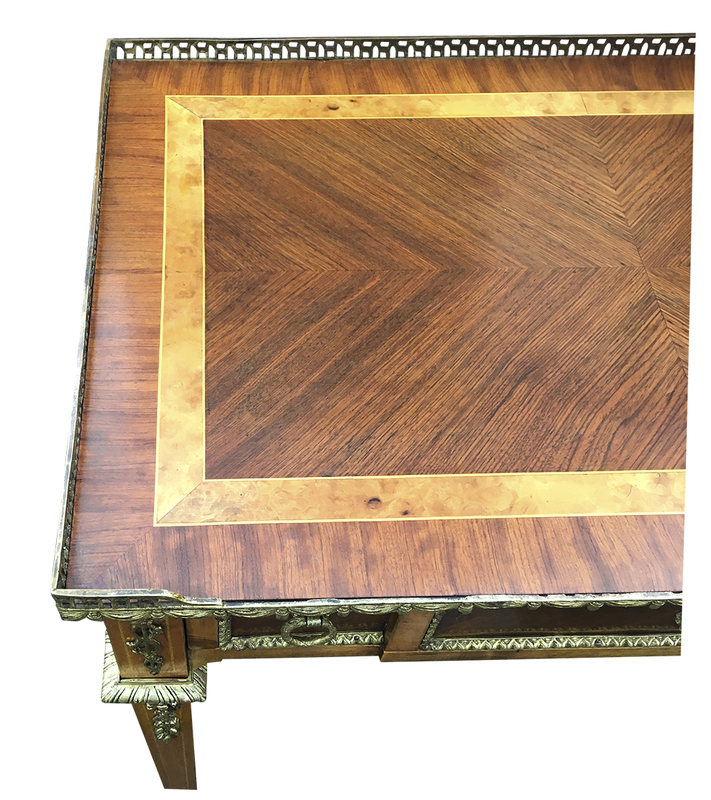 This late 19th century kingwood and ormolu writing table or desk is in the Louis XV1 style after a design by Jean Henri Riesner for Marie Antoinette. The top has a quarter cut, book matched veneer in kingwood, surrounded by a band of walnut and a cross-band of kingwood. 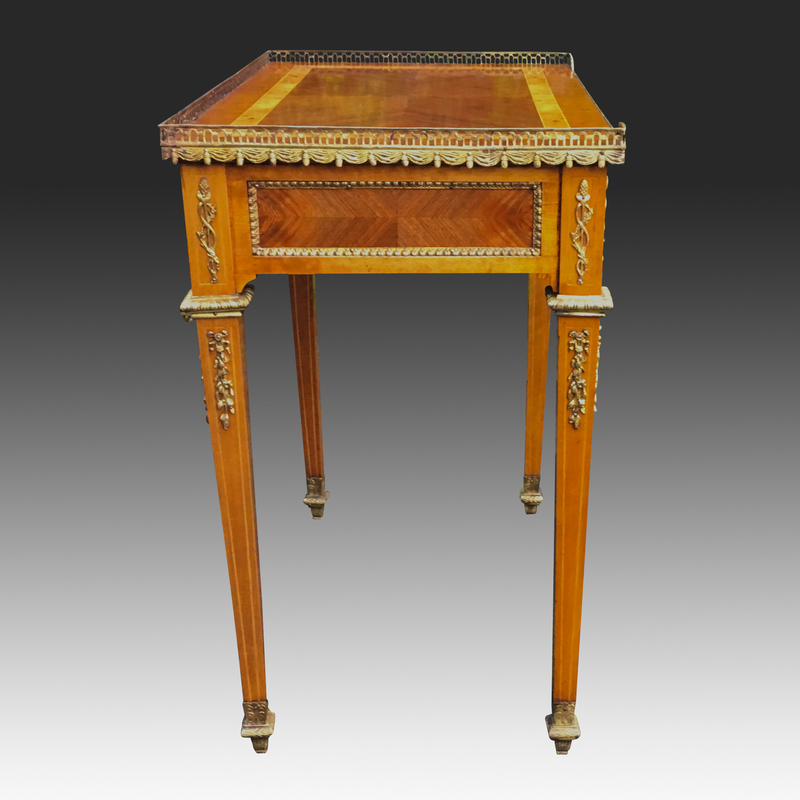 There is a small ormolu gallery surrounding three sides of the desk in a ‘swag design’. Below this is one , full width, drawer with the original handles. 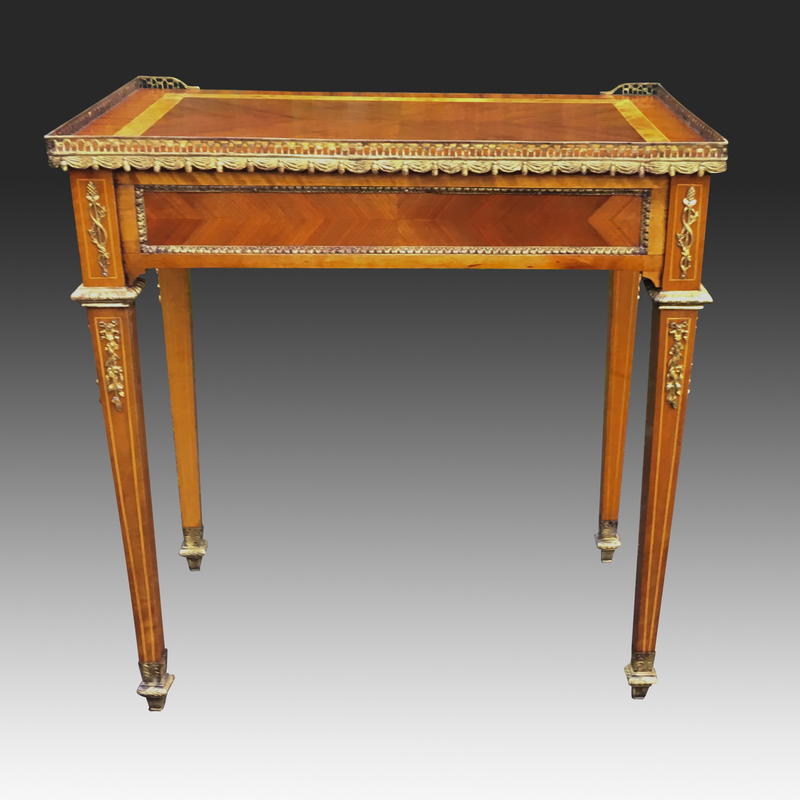 If you are interested in this Antique French Writing Table or Small Desk please contact us quoting reference: SN698. 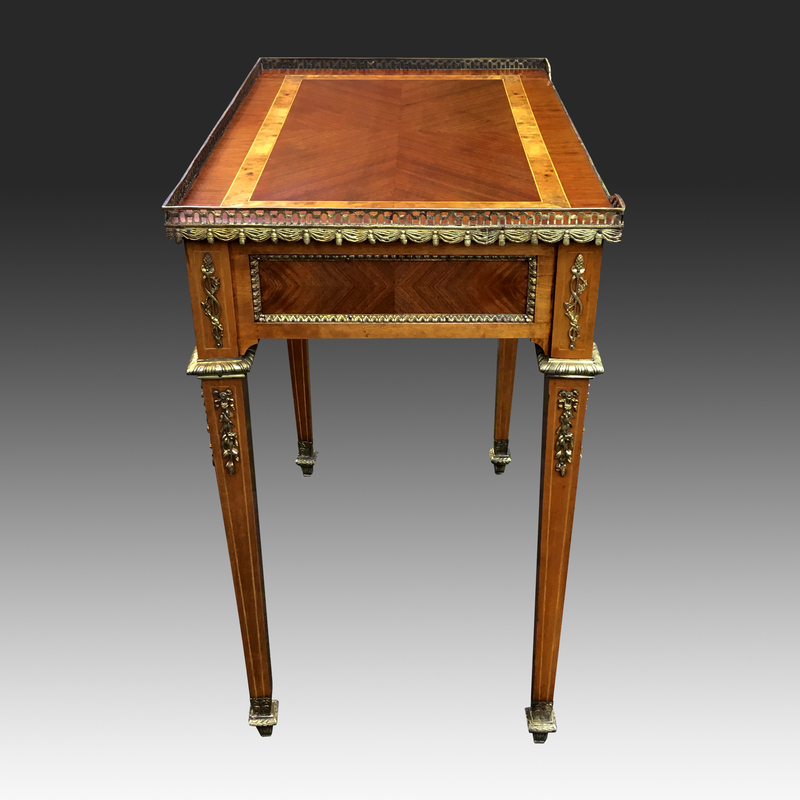 There is a small ormolu gallery surrounding three sides of the desk in a ‘swag design’. 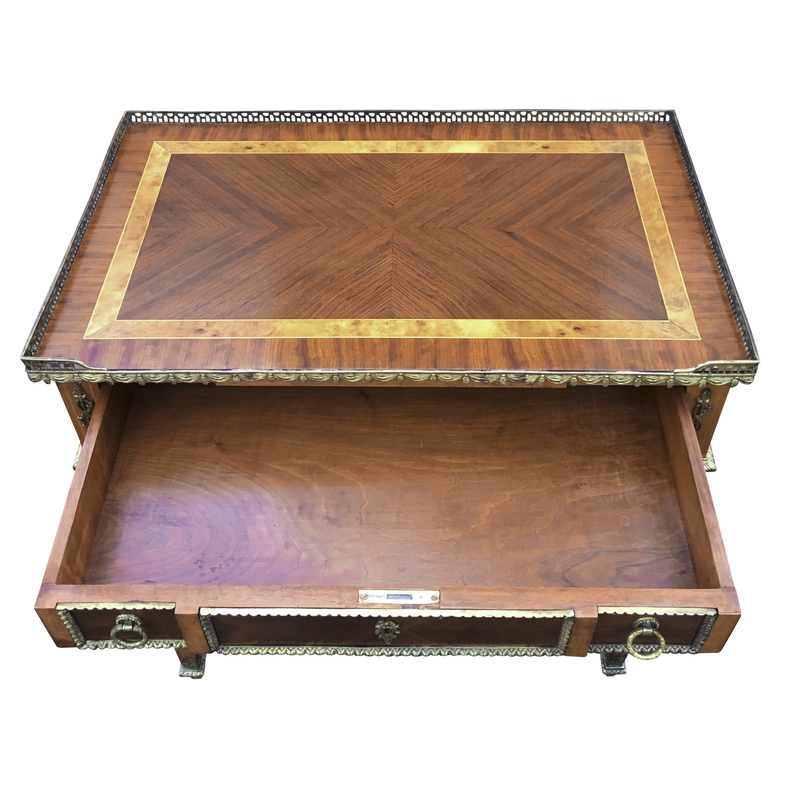 Below this is one , full width, drawer with the original handles. 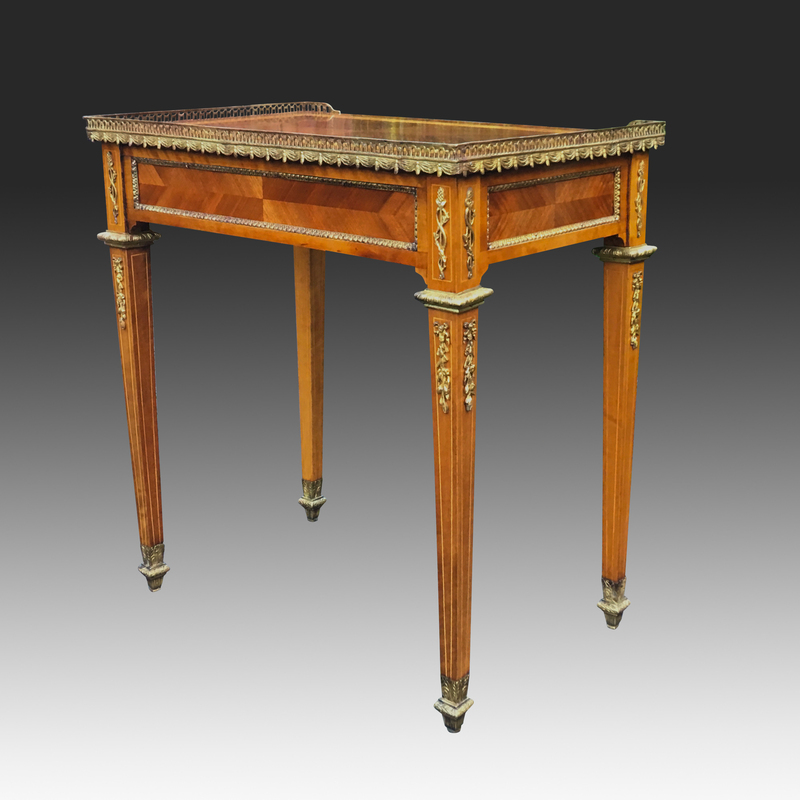 The table stands on four, squared and tapering, satinwood legs with ornate ormolu feet. 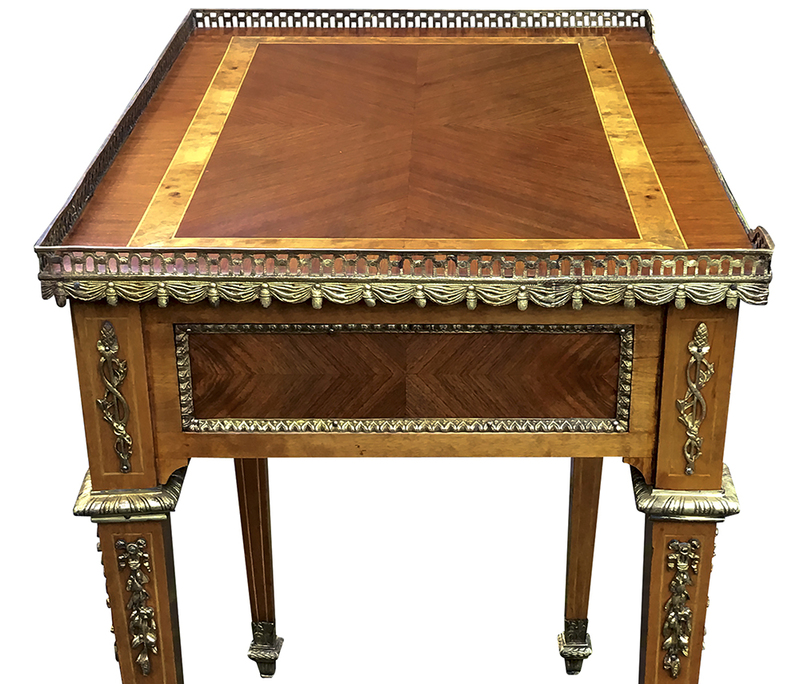 This beautiful small antique desk has been sympathetically restored, including French polishing, waxing and cleaning the original ormolu mounts. 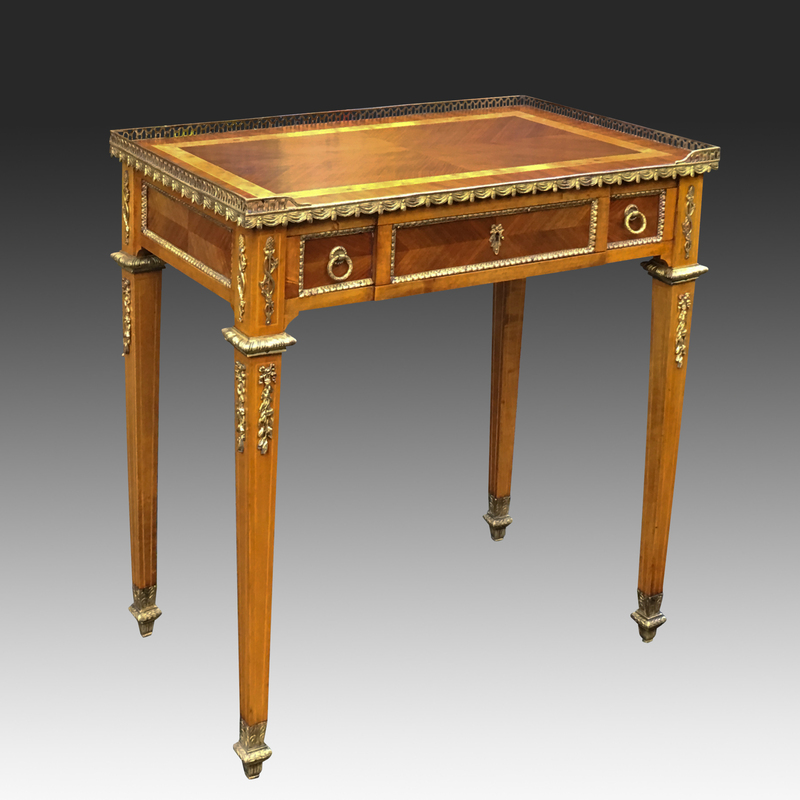 This very attractive small antique French desk is in excellent condition and would stunning in a small study, sitting room or bedroom.